Every November 11th in Korea the Lotte corporation goes on a full product pushing blitz for Pepero. The thin chocolate cookie sticks become a visual metaphor of the four 1s found in the 11th day of the 11th month. No doubt, the streets were flooded with chocolate confections on 11/11/11. Convenience stores and shops all over the country set up tables days in advance, overflowing with multicolored boxes selling all sorts of different flavors, sizes and substitute brands. 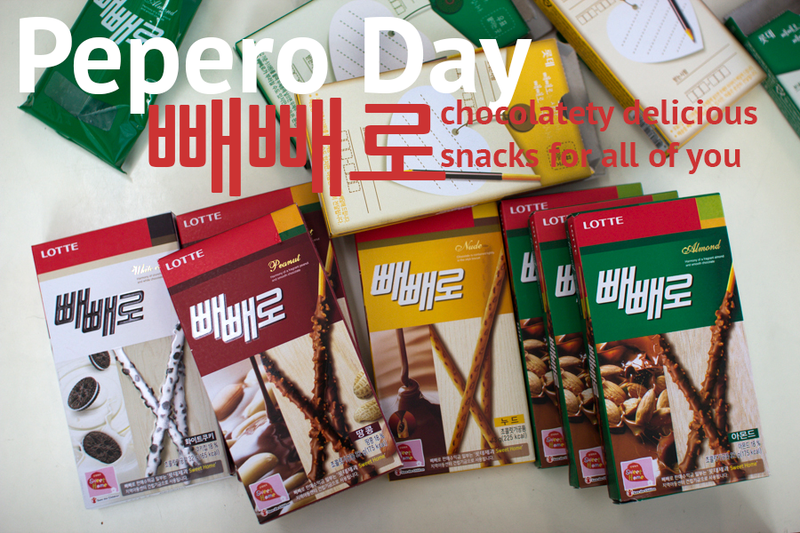 It's almost like a mini-Valentine's Day, with couples buying Pepero for each other.